David Krehbiel has been a quintessential orchestral horn player, and he is passing on that experience in clinics, a CD, conducting, and teaching. In addition to playing principal horn in the San Francisco Symphony for 26 years, Dave was Chair of the Brass Department at the San Francisco Conservatory of Music and is a founding member of the Summit Brass as a player and conductor. Dave was born in 1936. He took his first music lessons on the trumpet in his hometown of Reedley CA. He was in the eighth grade when he heard his future teacher, James Winter, play, and from then on, he knew that the sound of the horn was the sound he wanted to make. "Recently, I unpacked a horn I hadn't used for a while and out came this smell of an old brass instrument, moldy and musty. Instantly I was back in school again, opening a case for the first time, seeing this magic thing I was going to make sounds with." He spent three years at Fresno State and played with the newly formed Fresno Philharmonic. During these years, he spent summers pumping gas at Yosemite National Park. "Every night I would take my horn up to Mirror Lake. The sound would float across the lake and reflect off Half Dome and seem to fill the whole valley. This was Horn Heaven." His teacher suggested that he transfer to Northwestern University in his fourth year to study with Philip Farkas, who was then principal horn of the Chicago Symphony and had been Winter's teacher. A few months later, he won a position as assistant principal with the Chicago Symphony and remained there for five years, being elevated to the position of co-principal horn under Fritz Reiner. He left Chicago to become principal horn of the Detroit Symphony and nine years later, in 1972, went back to California as principal horn of the San Francisco Symphony. While with the Detroit Symphony, Dave and Tom Bacon (also a member of the orchestra) played in a rock group, Symphonic Metamorphosis, which recorded twice for London Records and played a concert with the Detroit Symphony. In addition to his position at San Francisco Conservatory, Dave has been on the faculty at DePaul University, Wayne State University, San Francisco State, Fresno State, Northwestern University, and most recently at Colburn School in LA. He is a member and conductor of Summit Brass and Bay Brass. He has taught and conducted at the Music Academy of the West for ten years. He has conducted members of the San Francisco Symphony in special concerts, including a performance commemorating the first anniversary of the Loma Prieta Earthquake. In 1998, the National Academy of Recording Art and Sciences presented him with a special award in honor of his many musical contributions to the community, and the San Francisco Conservatory of Music named him Professor of the Year. He is also involved with the educational activities of the New World Symphony in Miami. Dave has been a soloist with many orchestras. His CD, Orchestral Excerpts for Horn on the Orchestral Pro Series with Summit Brass, has been a boon to horn students everywhere. Dave continues to teach, play, and conduct, including participating in IHS symposiums. 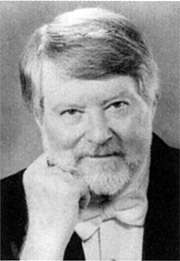 He has contributed articles to The Horn Call and was interviewed for the February 1997 issue. He was elected an IHS Honorary Member in 2008.